DIABLO MILANO AUTOMATIC STILETTO! Constructed Of Solid 440 Stainless Steel. Incredibly Smooth COIL SPRING Opening. Opening Button Also Closes Blade. Black Finished 440 Stainless Steel Plain Edge Blade That Is RAZOR SHARP! Solid Red Wood Top And Bottom Scales. Includes Safety And Pocket Clip. 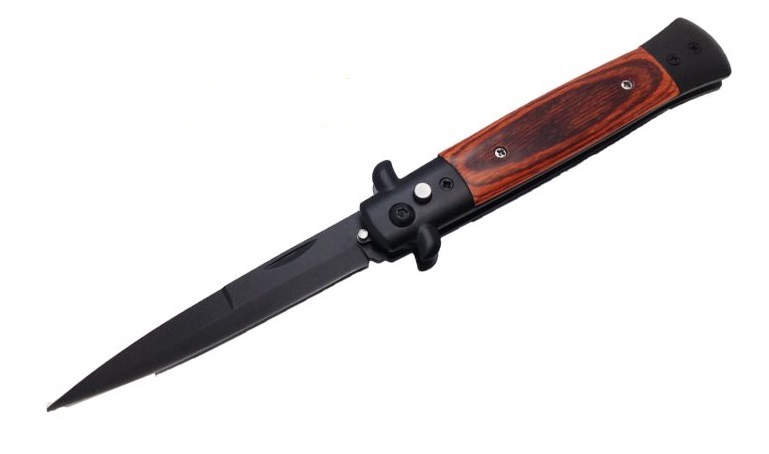 Overall Length: 9" Blade Length: 3 3/4"